Our beautiful Two Hearts T-light candle holder makes a lovely gift for couples. 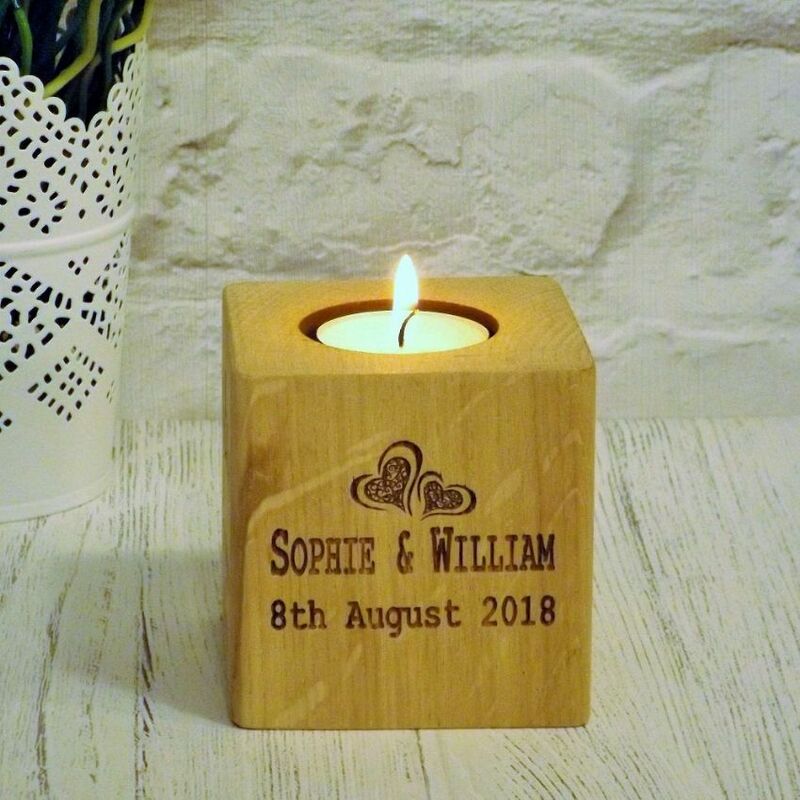 Perfect as a Wedding or Wedding Anniversary gift, particularly a 5th Anniversary, which is traditionally wood. Also great for valentine's day, new home, housewarming and Christmas too! The t-light holder is handcrafted in solid English oak and is designed and made in our New Forest workshop in the UK. The overall dimensions are 7.5cm x 7.5cm x 7.5cm. The hearts & text are only engraved on one side of the base, all others sides are a beautiful natural wood.